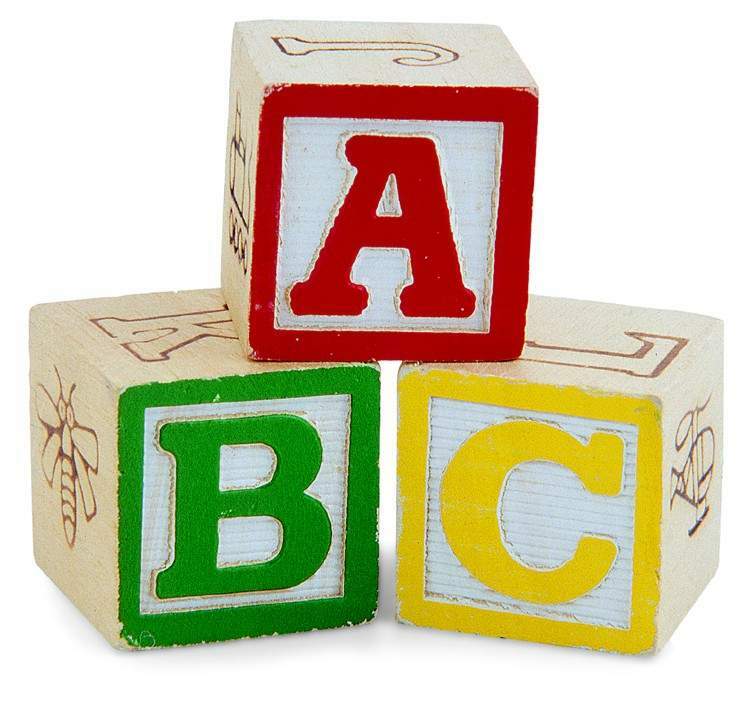 The ABC’s of CPS Bootcamp Time! Do you have a neighbor who is clueless about our beloved school system but you don’t feel like taking the time to explain the whole process? Are YOU getting ready to enter the quagmire of the application process? Don’t worry, don’t fret — there is finally an easy way to get the ball rolling, with Christine’s boot camp. For a mere $30 you get 2 hours worth of introduction to the application process as well as amazingly well organized materials to help it all seem clear (or as clear as it’s ever gonna get.) I attended a session last year and I guarantee it is well worth the money for CPS newbies. Christine has a child in a Classical school, FYI. Some of us have a best friend to walk us through the application process for Chicago Public Schools. For the rest of you, there’s me! No need to be intimidated, overwhelmed or frustrated by the process. I will give you the essential information you need to choose your schools and complete your Kindergarten applications on time. I have saved you months of research time by compressing what you need to know in short, concise, accurate workshops. I have several sessions coming up in a few different formats, so you should easily find one (or two) that fits your needs and schedule. These sessions are for parents whose children are entering kindergarten who want the essential details of the application process for Chicago Public Schools including magnet, magnet cluster, neighborhood, and Regional Gifted/Classical schools. Each of these sessions are identical, so choose one that fits your schedule and call or email to RSVP. Location: Margate Park Field House, 4921 N. Marine Drive (pay & display parking available). Call or email to RSVP. Cost $30 per family, cash or check at the door and includes the 2-hour session plus a cache of take-home material. Christine is also available for private consultations. Additional sessions will be held at Fantasy Kingdom (perhaps a better choice if bringing the kiddies along.) See her link for more information. If you do bring kids to a session, be sure to have a bag of entertainment for them. I saw some kids going stir crazy in a session last year. Think of it as a 2 hour plane ride where you’ll actually be wanting to pay attention to everything the flight attendant tells you….. I have a 2.5 year old, would it make sense to attend this session or is one of your other sessions (i.e. preschool as opposed to kindergarten) here (http://christinewhitley.tumblr.com/post/8651671997/get-the-jump-on-kindergarten-admissions-at-fantasy) better suited for us? Also, the description says “Cost $30 per family”, does that mean I can bring my child? Is that productive with the little ones running around the workshop? It is sad that something like this is even necessary. The process is designed as a litmus test to weed out the less motivated parents, so I applaud Christine’s efforts to beat CPS at their own game. Certainly her expertise and information packets are worth $30.00. Leave the young ones at home with a sitter and plan on both parents attending – you need a united front to tackle the beast that is CPS. $30 per family means you can bring your husband, partner, baby daddy, or co-parent. You may also bring your child although I wouldn’t recommend it. You will need to be able to focus! That’s why I decided to have alternative sessions held at Fantasy Kingdom for people who need to bring their children. The fee is slightly more but includes 2 hours of open play for up to 2 kids. And I agree that it’s sad that workshops like mine are helpful or necessary. But if I can help people feel less intimidated and overwhelmed, and maybe give city schools a chance, that’s my goal. Great idea. I am sure there are many of us (with older kids) who would have benefited from this rather then figuring out the ropes on our own. One thing I would suggest is having the suggested age range for each class. I don’t know if people know how soon they really should start looking into options. Oh, great idea IB&RGC mom! I will add that to my info. Is this serious? Why would anyone pay for something you can get for free? The office puts on presentations at libraries AND gives you literature to take home…. Sometimes an outsiders’ advice can be infinitely helpful. I feel that the cps site has gotten much easier to navigate and pull information from, but it’s still hard to get your head around it unless someone sits you down and explains the process step by painful step. Also, some parents are eager to get started in their search and research. I’ve been to the workshops and told Christine they’re worth well over $30 but she won’t raise the price! If anyone finds out about free cps sessions, I’m happy to post info. @ 8 Confused: I’ve never seen a presentation done by a CPS employee that was worth a bottle cap of spit other than Ron Huberman, who obviously had speaker training. The CPS process was designed to confuse. If Christine – or anybody else with the time, motivation and skill set – wants to take on the onerous task of compiling information and presenting it in an organized and concise fashion, along with timelines and checklists, this would be worth $30 to alot of families. You should do it for High school Christine. I’m surprised at the number of people that do not cover their bases, not aware of the available options, don’t apply to schools that are the best fit for their child. I’m also surprised at the lack of guidance available for 8th graders. @8 I think you were referring to the very good presentations put on by Ellen Lorden at CPS. I have heard her position was eliminated and that CPS hasn’t had these presentations in 2+ years. I think that it’s great that Christine stepped up to filled the void. Mayfair Dad (or anyone really) who wants a PDF, I can do that! Drop me an email and I will gladly provide the goods. Don’t know what became of Ellen. I assume she’s still doing stuff at South Loop? I have to acknowledge that I learned about half of what I know about CPS from her and her sessions. I believe CPS put on a seminar at the NPN fair last year and *maybe* a couple at some libraries? If anyone hears of them, let me know. it can certainly be worth going to talk to a CPS insider for certain questions. But these days the comments/questions form on oae.org seems just as helpful. There is a calendar on the OAE website with their Options presentations and some of the open houses. Their Options presentations are held at public libraries. But they do have presentations in Spanish, which is great! Can you be more specific where this calendar can be found? I spent the past 10 minutes on the OAE website (www.cpsoae.org) to no avail. Thanks! click on the Show Calendar link on the right nav bar. You have to scroll through and look for them. Starting in October, there are a fair number of Options presentations at neighborhood libraries. I started making a list, but there are actually a lot of them. Of course a parent has to FIND either of those web sites, which I still have never found a quick link to from CPS.edu. Oh and cpsmom, I have been thinking about adding high school services to my line-up. It seems that there’s a lot more support and information for them out there and almost none for Kindergarten. I know plenty of parents who are relocated to the city and don’t have the first clue where to start, I was one of them and I just gave up and moved to the suburbs, much to my regret. I agree that it’s sad that parents have to play this game to have even half a chance of getting their children the education they deserve, but sadly this is today’s reality.